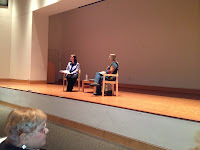 Last Saturday's NESCBWI's New Media Day concluded with an interview with author illustrator Ruth Sanderson conducted by Melissa Stewart. Melissa opened with the observation that it is common for people who have been in children's publishing for a long time to do a number of things, a point that tied Ruth to the rest of the day's program, which was all about children's authors moving into something new, digital publishing. 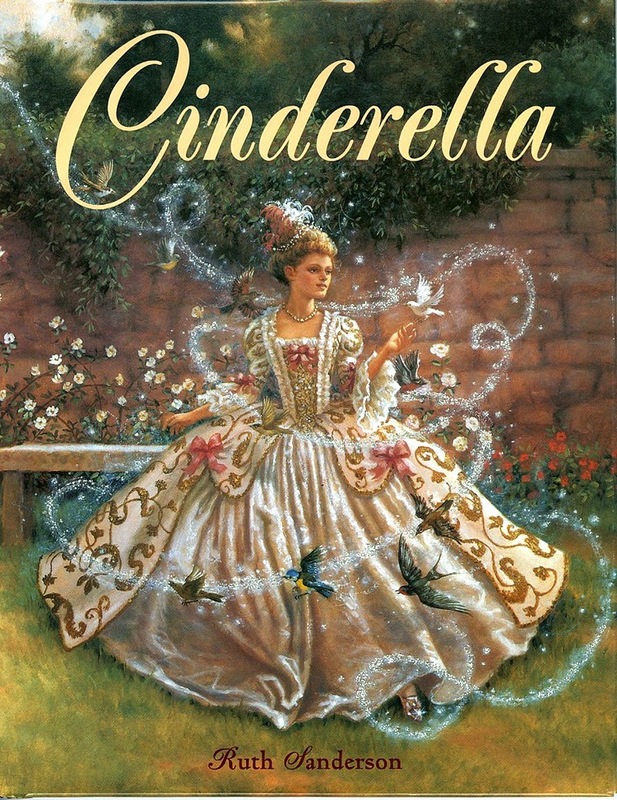 She began her career doing artwork for filmstrips (that was techie once) and two years ago she reformatted her version of Cinderella. In between those two career events, Ruth did textbook illustrations and the covers for book series, including the first Black Stallion paperbacks. She moved into writing with a series of fairy tale retellings that she also illustrated. In addition to what might be called traditional illustration work, Ruth creates licensed products such as cards, puzzles, and flags. She considers herself a commercial artist who shifts with the book and product markets. She also teaches summers at Hollins University's children's literature program and has applied to Vermont College's MFA program. Ruth's description of her career made me think of Roxie Munro, who spoke last year at UConn. She also described a career in art and illustration that involved a lot of movement among different types of work and that progressed into new media. What we may be seeing here is a work model, one that is becoming more visible because of the evolving digital landscape. Illustrators and writers don't do one thing over and over again but move along with market demands and take advantage of new technologies. This is probably nothing new, but the attention digital publishing is receiving is bringing new attention to the changes in how creative people like Ruth Sanderson work.